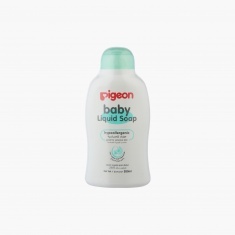 Enhance the bathing experience of your little one by using this liquid soap. This soap will help you keep your kid clean while being gentle on the sensitive skin of your kids. This soap will easily wash away with water without creating any irritation.